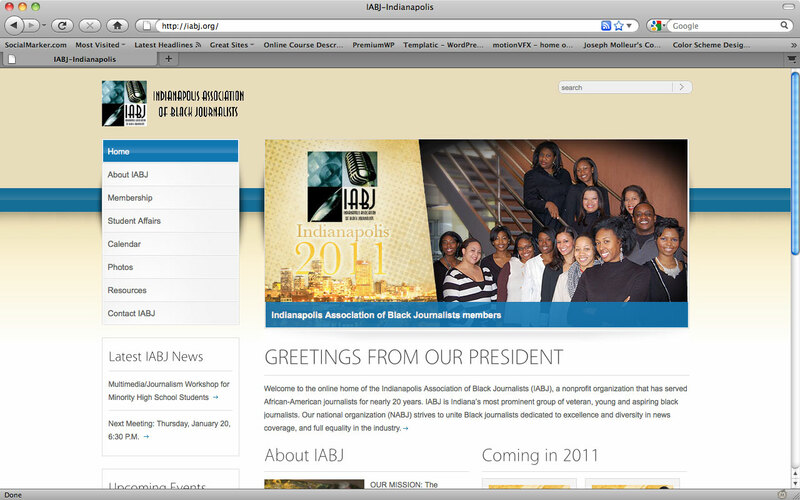 I wanted to share the awesome opportunity afforded to me by the Indianapolis Association of Black Journalists. In an effort to start 2011 off on a great foot, my organization was part of the team that designed their new website. 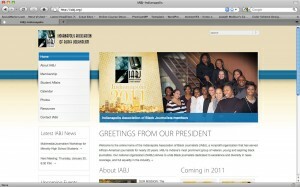 I encourage you to visit http://www.iabj.org and let me know what you think. The new site is a long way from where they were and the positive comments just keep coming in. If your chapter wants to take your online presence up a notch, we’d be glad to help you take your website and online media up a notch.